The golden age of pedestrians is waiting for us. As the auto and tech industries pour millions into developing autonomous vehicles, some of the biggest gains will be realized by those who aren't even riding in self-driving cars. 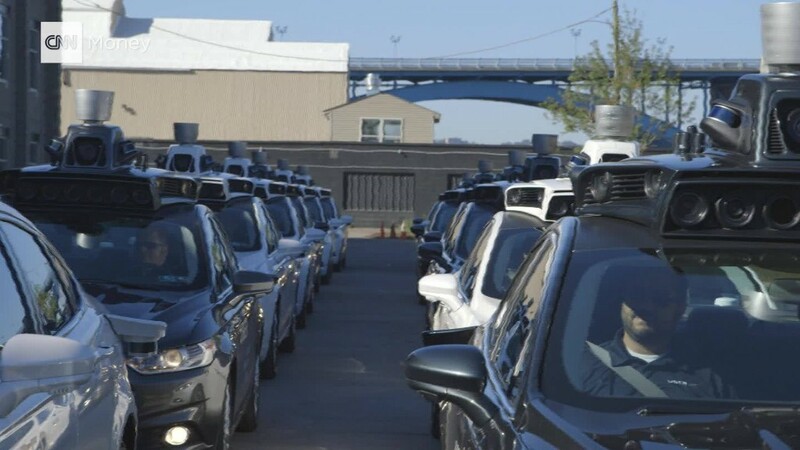 Transportation experts see the dawning era of autonomous transportation as a chance to tame speeding cars and trucks, creating a vastly safer world for drivers, passengers, pedestrians and cyclists. Speed is a factor in every crash, experts say. The faster a driver is going, the less time they have to react, and the more space their vehicle will need to stop. "The link between speed and safety is very clear," said Corinne Kisner, the director of policy at the National Association of City Transportation Officials. This summer, the group called for autonomous vehicles to be limited to 25 mph on city streets. The technology already exists to electronically restrict cars and trucks to the speed limit. Millions of dollars in damage and many lives would be saved. The federal government government has even proposed speed limits on large commercial trucks, but no one is calling for such a move on passenger vehicles. "It would be a tough sell to make," said Jeffrey Wishart, an automotive systems professor at Arizona State. "People like the freedom." Even if speeds were brought down by only a few miles per hour, it would have a huge impact on safety. Getting struck by a car moving at 30 mph is eight times as likely to be deadly for a pedestrian as being hit by a vehicle going 20 mph, according to the U.S. Department of Transportation. A person struck by a vehicle moving at 31 mph has twice the risk of suffering a severe injury as a pedestrian struck by a vehicle going 23 mph, according to AAA research. Cities are starting to catch on and take some steps to limit speed. This November, Seattle dropped the speed limit on arterial streets to 25 mph and residential streets to 20 mph. Boston officials have pushed this year to lower their speed limit from 30 to 25 mph. Of course, drivers routinely flout speed limits, blunting the best intentions of transportation officials. So we find ourselves in what Wishart calls an unfortunate arm's race, as drivers choose larger and more powerful vehicles to protect themselves from high-speed crashes. "I can't have a lighter vehicle because if we get in an accident, your big vehicle is going to demolish my little vehicle," Wishart said. "I must have at least as much protection." Autonomous vehicles are the chance to rein in this urge. Self-driving cars could be designed with slimmed down engines and frames that are designed to never go above 25 mph in the city. These vehicles wouldn't need to be sturdy enough to survive a high-speed crash. Of course, that's not a future everyone will want to live in. "For certain people," Wishart said. "They'll say -- 'You'll take the steering wheel out of my cold, dead hands.'"